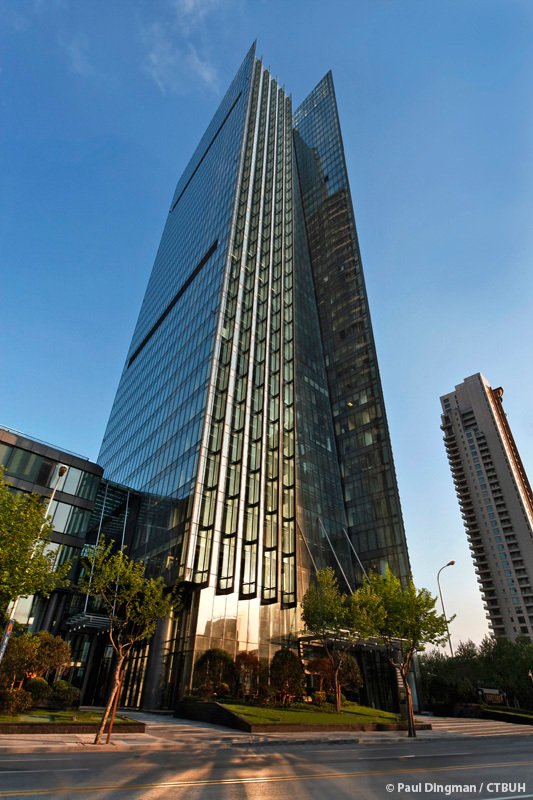 BEA Financial Tower development is a grade-A office building situated in a prominent location within the Lu Jia Zui commercial and financial district of Shanghai’s Pudong. 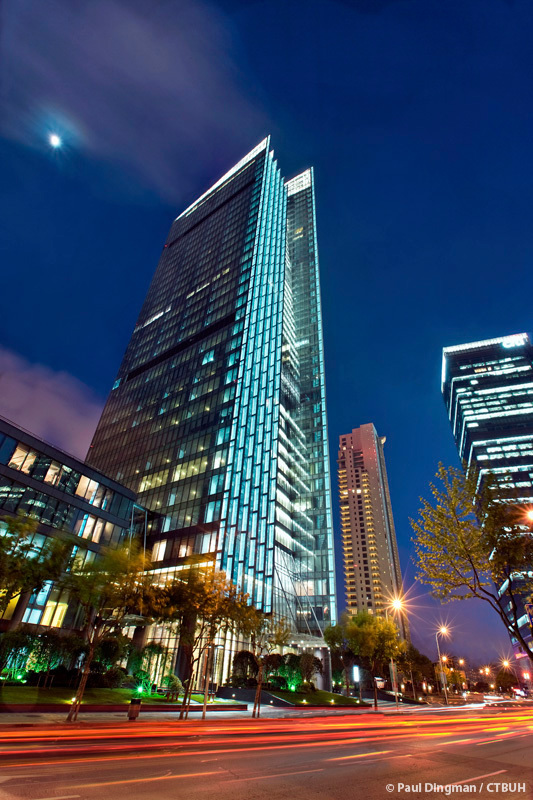 The tower sits next to the Jin Mao Building and the World Financial Center beside the Yang-Pu river and therefore is highly visible along the Pudong skyline directly from the Bund. 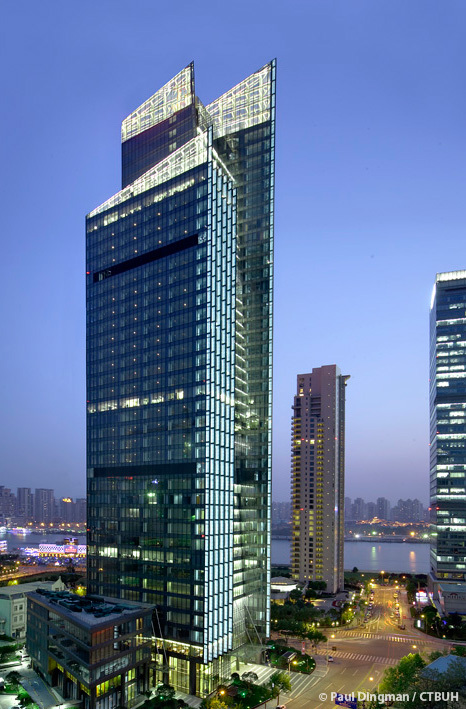 The building footprint responds to the boundary requirements by breaking down the built volumes programmatically into two wedge-shaped entities: the tower block and the low-rise building which is dedicated to restaurants, public facilities and support services. 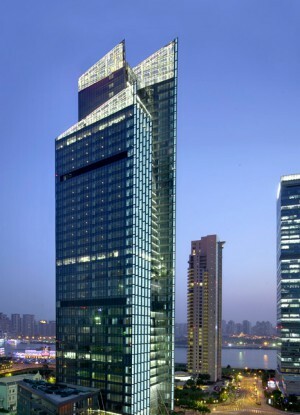 A glazed atrium separates the tower from the low-rise podium; the atrium and the low-rise are staggered volumetrically away from the tower’s northwestern façade. 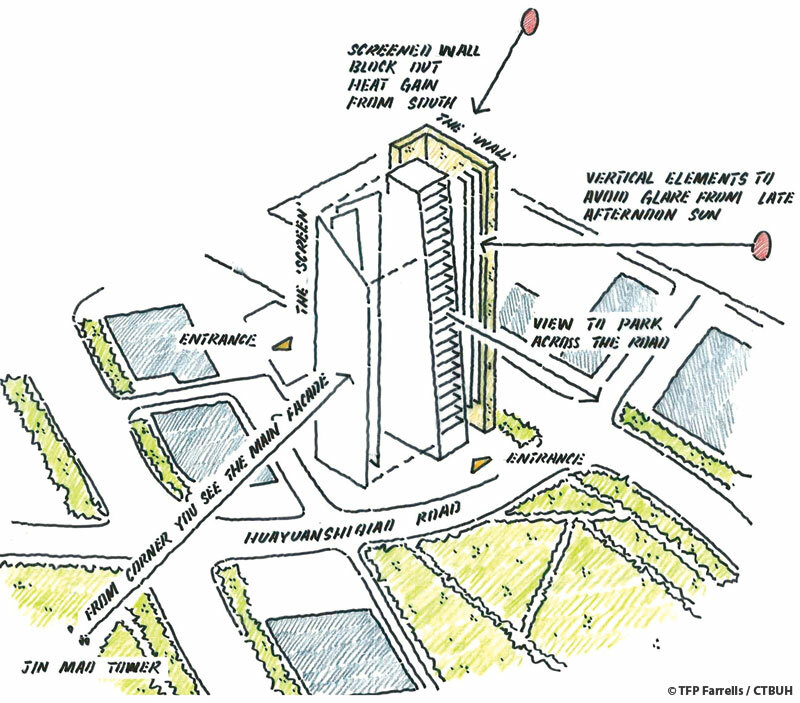 The tower is composed of a central circulation and service core which is flanked by two floor plates. 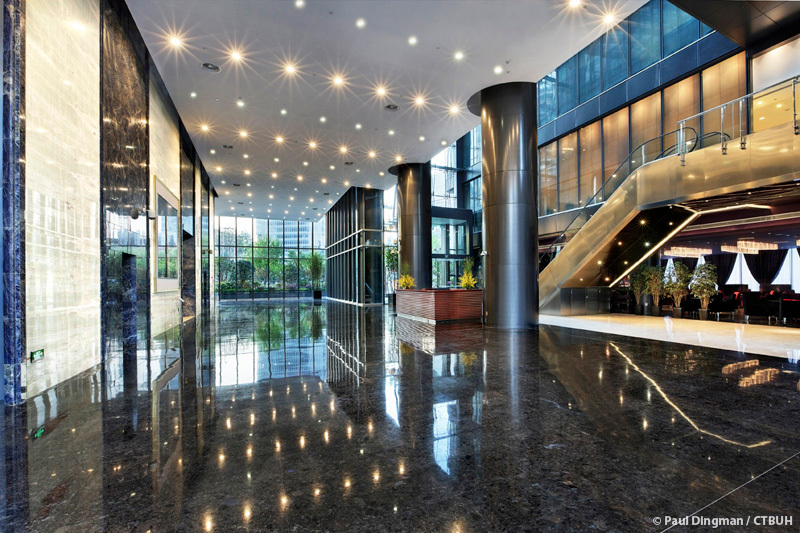 The depth of the floor plates were carefully designed to allow natural light to all office space within. The west wing of the building rises above the other two components creating a stepped effect to bring a level of clarity and directness to the building’s massing. Each element functions independently but is bound into a singular composition by complementary materials and modularity. 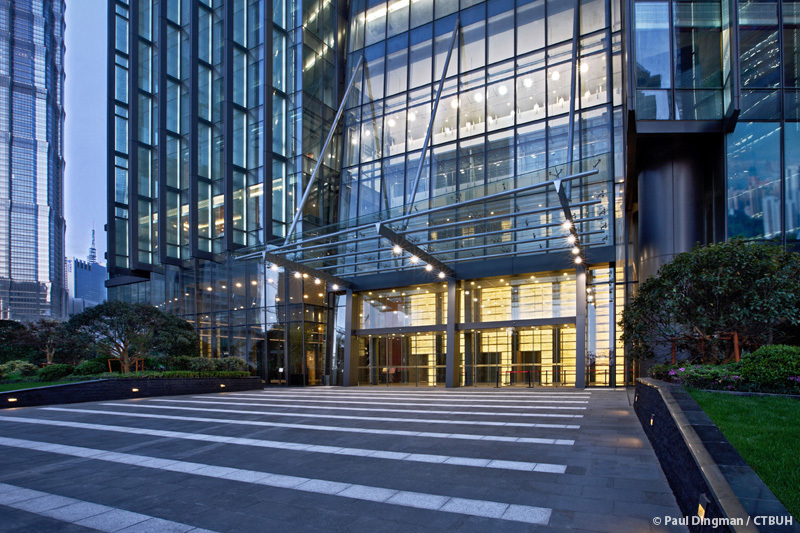 A sense of the greenery being swept vertically into the building is captured by positioning sky gardens on the various refuge floors and creating a visual link to the park from ground level upwards. Optimizing city and river views on the north sides whilst minimizing glare required a façade design composed of large areas of glazing with vertical fins that use a surface frit to shade the interior from low-glare sun angles. As well as producing an elongating effect, the fins add visual interest and depth to the façade and allows for special night lighting effects. Overall, four different types of cladding were established in order to minimize solar gain and building heat load on the south west and south. 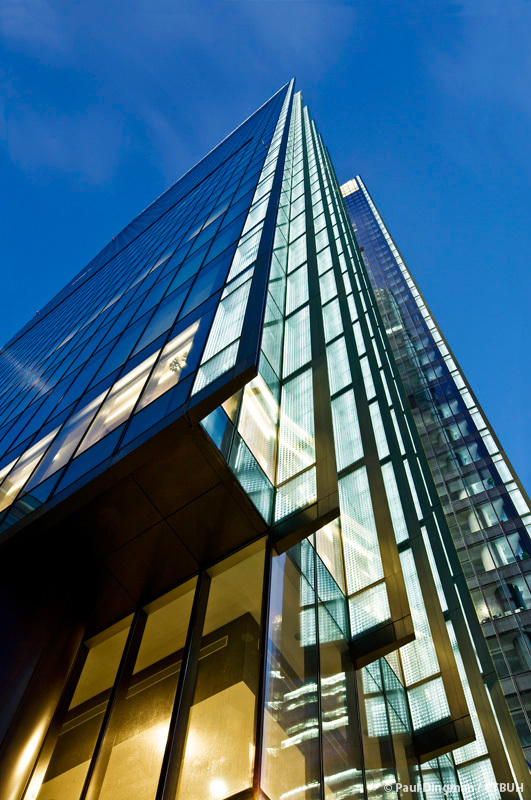 Where the percentage of glazed areas is reduced, horizontal shading devices are provided and low-E glass is used. Each type of cladding is designed to deal with specific environmental aspects: reducing solar gain, reducing glare, mitigating winter heat loss and maximizing aspect.